When four restaurant entrepreneurs started Tastes on the Fly in 1999, they had a singular focus. Bring airport travelers a high quality taste of place by executing with the same passion as the original restaurant locations from the community. Each partner brought a variety of skill sets and experience from a slew of successful restaurant and event ventures. From its inaugural opening of a pair of Il Fornaio Caffes in San Francisco's new international terminal in 2000, Tastes has grown into one of the world's leading boutique airport dining operators. With meteoric sales growth to more than $50 million in annual revenue, the company delivers on its promise to bring top tier food and beverage options to passengers at New York's JFK, Boston's Logan Airport, its home base of San Francisco International Airport, and now to Denver International Airport. The mission of bringing a taste of the local dining scene to an airport becomes more impactful when aligning with the community’s top chefs, beloved local food brands and restaurant teams committed to being a part of something unique. Sometimes that mission is driven by an iconic local restaurant institution. Perry's, a beloved San Francisco bar & grill, brought its 40-year reputation to Delta's Terminal 1 at SFO, resulting in the highest grossing restaurant in SFO history. At Napa Farms Market, the Tastes team collaborated with top chefs like the Food Network's Tyler Florence, and best-of-class local suppliers such as Kara's Cupcakes, Cow Girl Creamery and Acme Bread to deliver the highest volume per square foot marketplace in an airport to date. The company's Dine Boston restaurant at Logan International Airport features a local visiting chef each quarter, making it one of the most dynamic and delicious dining experiences at BOS. 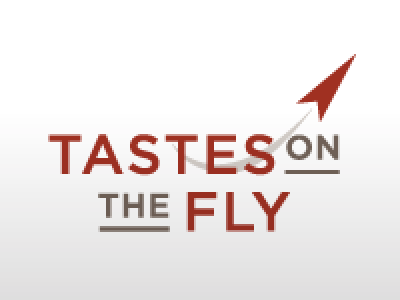 Tastes on the Fly has earned the industry's top accolades for its singular focus. The International Moodie Report awarded Napa Farms Market "Best Airport Food and Beverage To Go" and "Best Sense of Place" in 2013. The company has earned the industry's highest award, not once, but twice for "Best New Airport Food and Beverage Concept": in 2012 for Napa Farms Market at SFO and in 2009 for Bobby Van's Steakhouse in JFK. 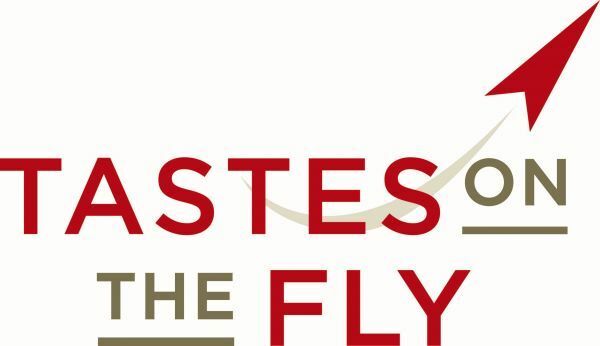 While awards commemorate the development and implementation of impactful restaurant projects, the greatest honor Tastes on the Fly receives every day is the ability to satisfy thousands of passengers in 11 airport locations coast to coast.